Orange is a colour associated with fun and creativity. It is a mixture of vibrant and energetic red and the warm and peaceful yellow. The tones and shades of orange is determined by the amount of these colors with a little white thrown in. Generally we associate properties of both these colours with orange. Orange denotes joy, vibrancy, passion and warmth. It is a good choice for a child’s bedroom. It is a stimulating and exciting hue but can be pleasant and soothing also. “Orange is a bold colour and can make a strong style statement. So, if you have a strong and flamboyant personality, match your room colour to reflect it’, Says Pooja Bagri of Bagri Interiors. Orange has a multitude of shades that we can use. From a pale orange-peach pastel shade, to a strong bright orange, orange can wear many hats. It is a good idea to team up shades to create a cohesive colour shade. 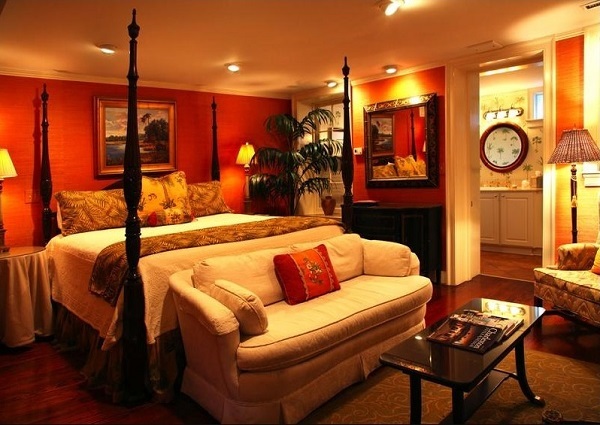 Pale orange walls with dark wood furniture and flooring with orange undertones can give your bedroom a soft glow. 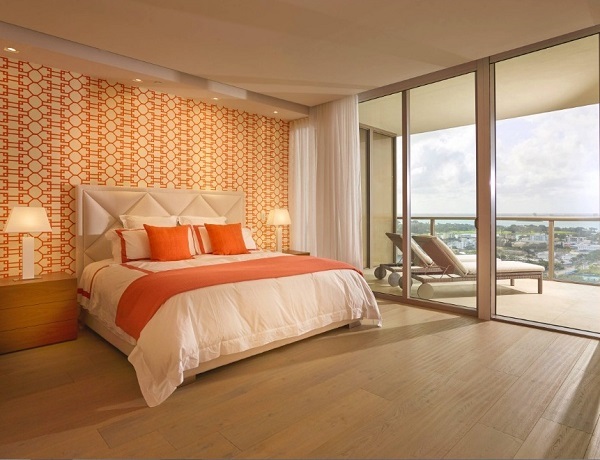 A few white accents in the accessories and curtains in an orange and white print can look gorgeous and romantic. An earthy terracotta orange with minimal wood finish furniture creates a warm rustic look, or add an abstract wall hanging or wallpaper in abstract and bold print on one wall to create an eclectic and edgy style. For a conservative look , you can add generous lashings of brown and white to tone down the sunset and pumpkin orange hues. 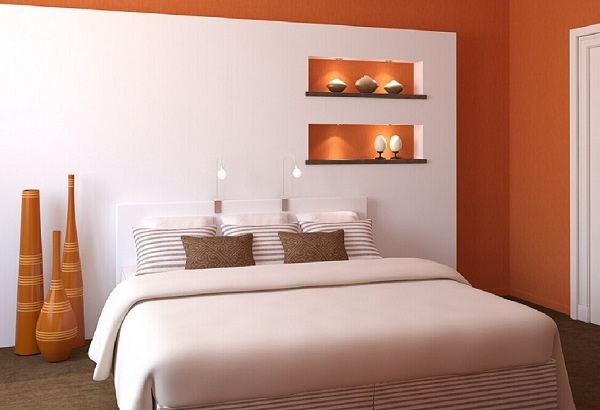 This will lend a warm but not dominating colour scheme for your bedroom. Citrus shades of orange work well with white as a moderator. 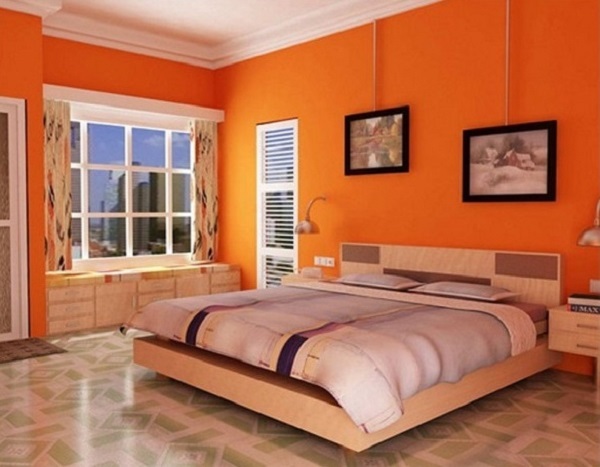 Paint the walls white and add an orange wall and furniture to tie the look together. Accents of navy blue, black, emerald green and Aqua work as pop ups to liven your decor. Orange in a peachy pumpkin shade is perfect with light pine furniture in a nursery. As the baby grows add furniture in a sturdy wood finish to add practicality to the decor. Pops of bright orange with Kelly green and white is a good choice for a girl in her teenage years. It adds a youthful freshness and encourages activity and creativity. 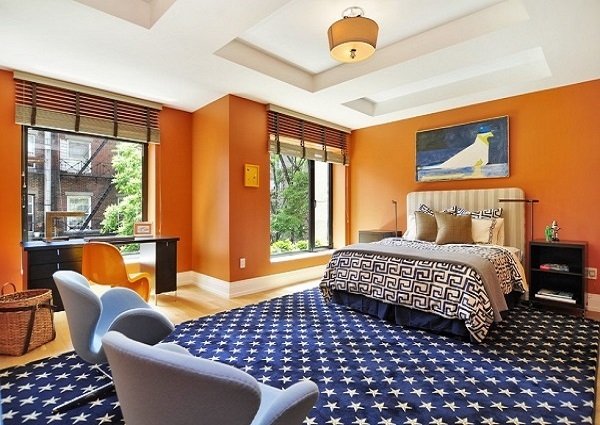 A darker burnt orange shade with accents of blue and brown work magic in a boy’s bedroom. These rooms are easy ti upgrade as a child grows up, by changing the accessories and add bolder accents like a vivid rug or vase to add maturity to the bedroom. So go ahead and use orange fearlessly! You will soon long to go home to your refreshing bedroom! 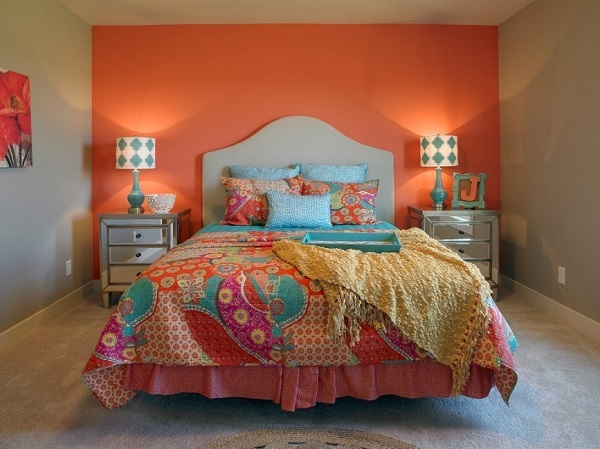 What are your thoughts about decorating an orange bedroom? 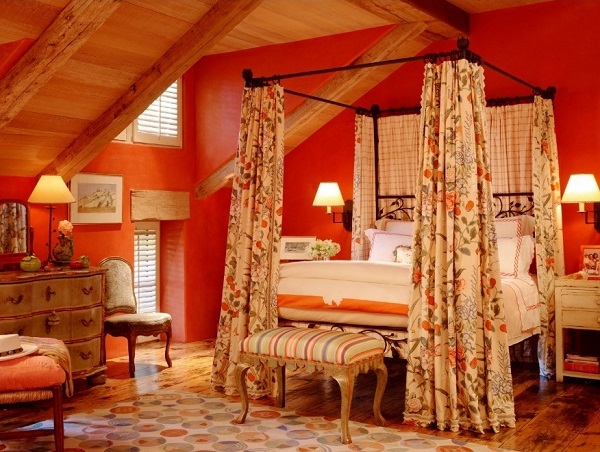 If i want to paint my room than i use Orange in a peachy pumpkin shade with light pine furniture. Thanks for sharing with us… such a great place where we have a choice to decor our home in luxurious way..